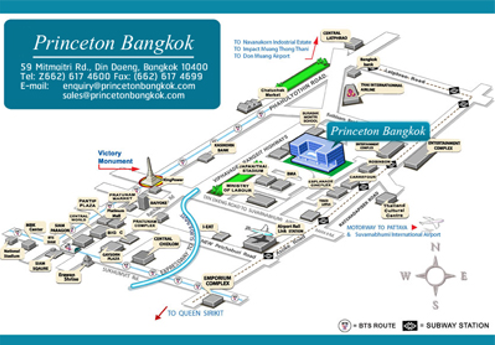 Princeton Bangkok full serviced residence with facilities of a hotel in a short 30 minutes drive from Suvarnabhumi International Airport. 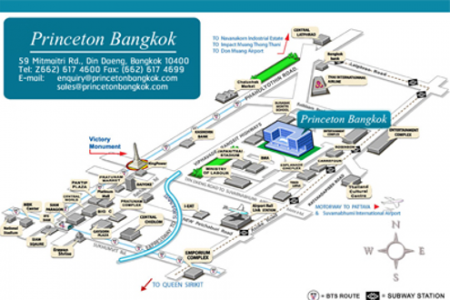 Located on Mitmaitri Road (at the Din Daeng and Viphavadee Rangsit intersection), it has easy access to the Sukhumvit area, the city centre and Bangkok’s famous attractions like “Chatuchak Weekend Market”, “Pratunam Market ” and “Ratchada Entertainment Zone. The Street, Big C Supercenter/ Ratchadaphisek Rd.